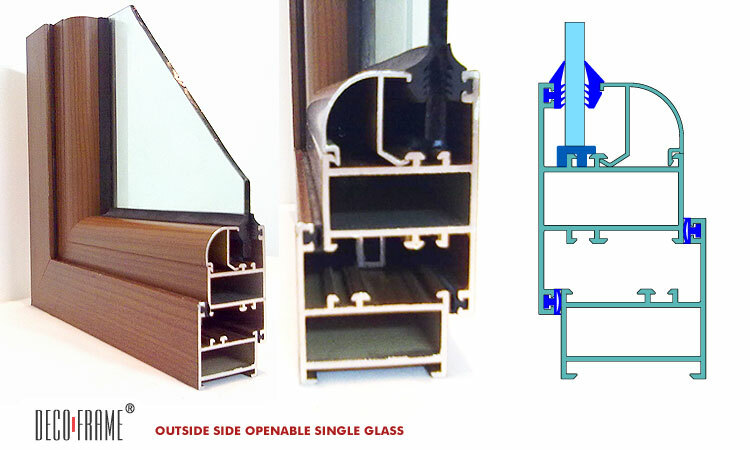 Welcome to the world of Decoframe! 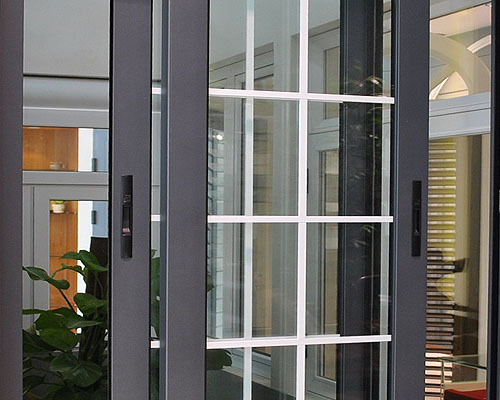 You can select from our large variety of coated aluminium frames, doors and windows that best match your decor. 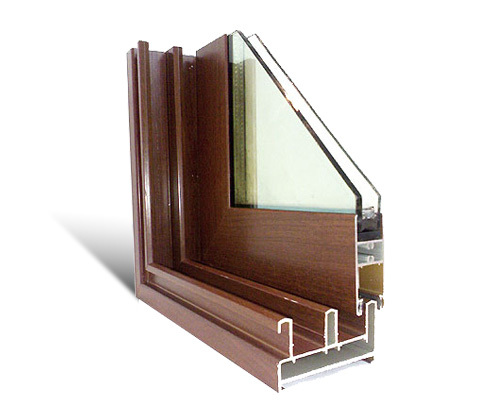 Available in finishes like Wood finish, Marble finish, Anodized finish and many more, these frames are designed for all seasons. 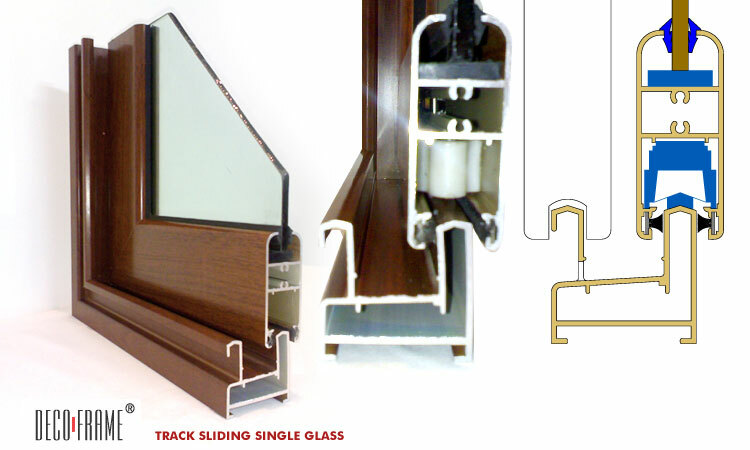 Available in 2 & 3 track. 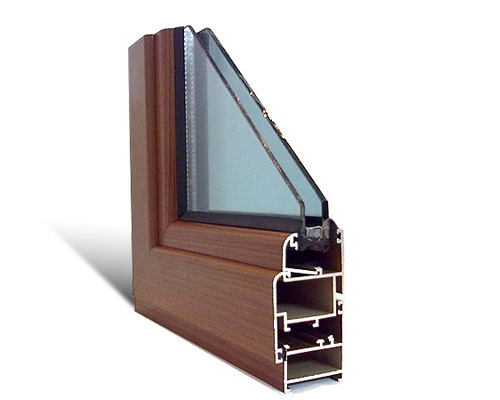 Suitable for single or double glass shutter windows. 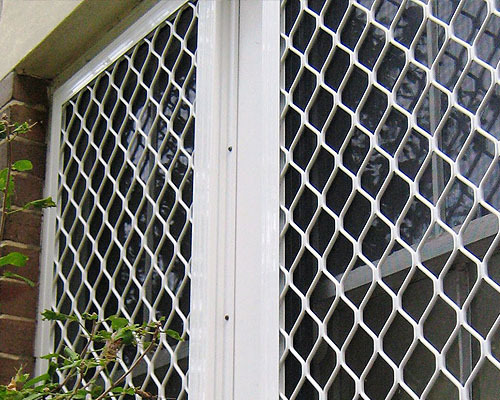 Outside operable shutter. 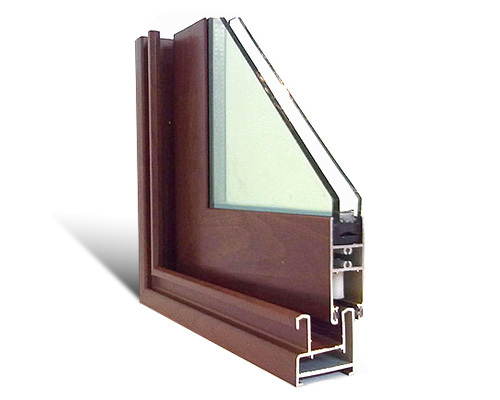 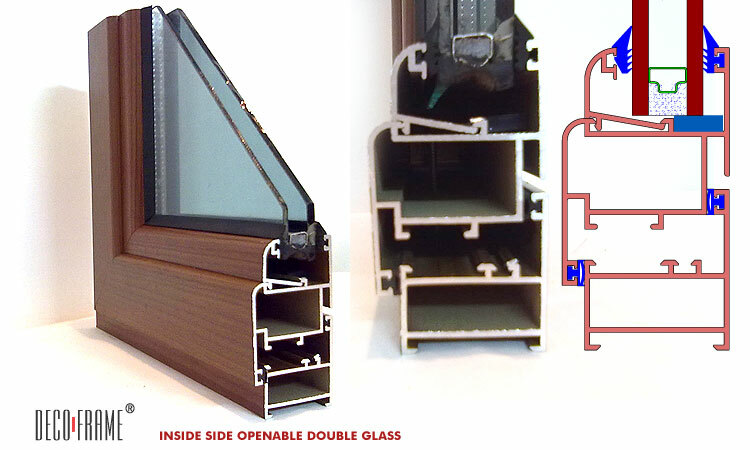 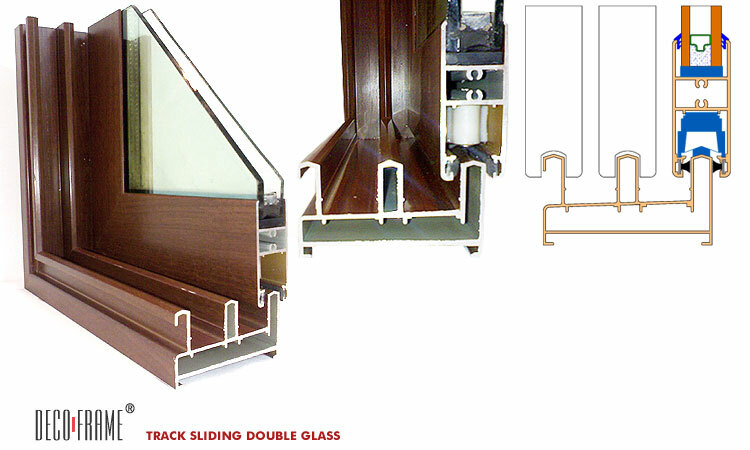 Suitable for single and double glass shutter windows. 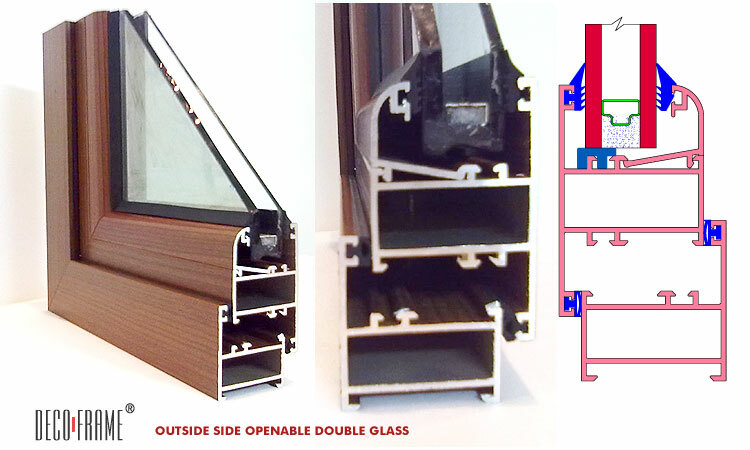 Inside openable shutter. 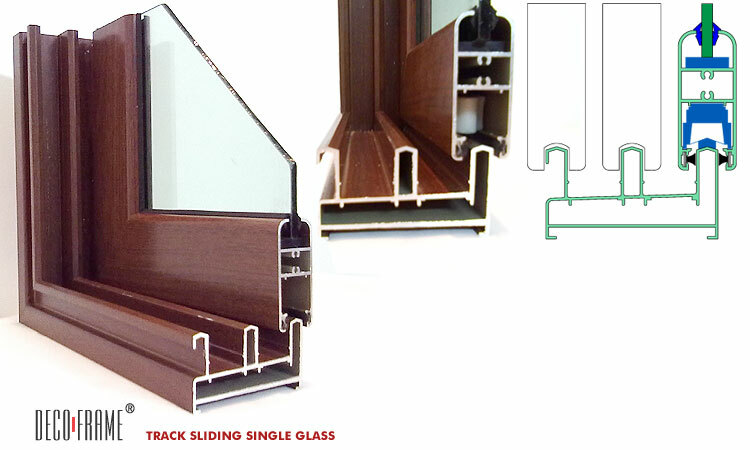 Suitable for single or double glass shutter windows. 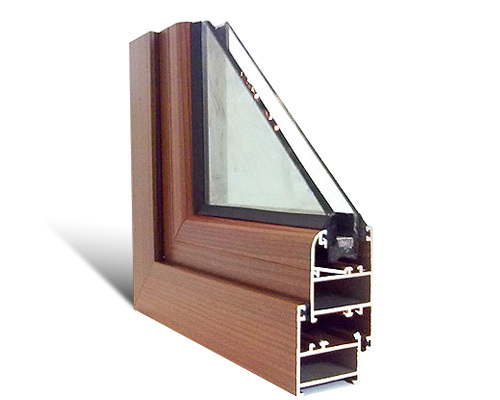 Decoframe double glazed system deviate harmful ultra violet rays and solar heat, maintaining the room temperature and saving electricity. 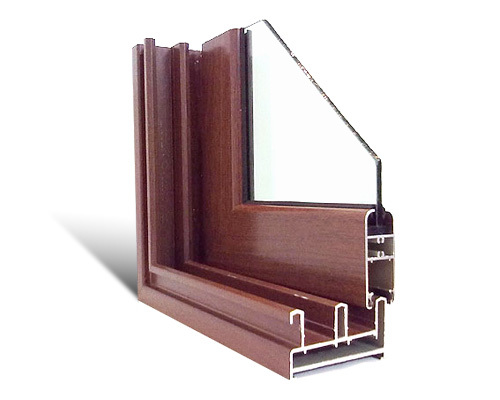 Decoframe is available in sizes as per customer's specification. 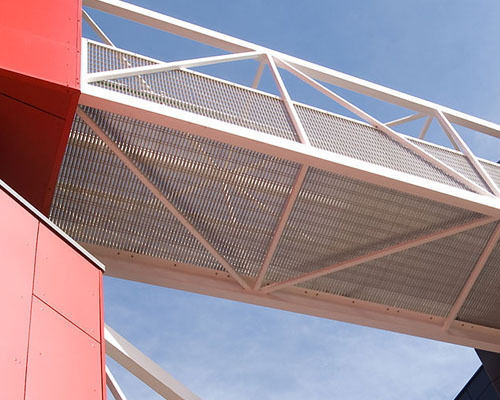 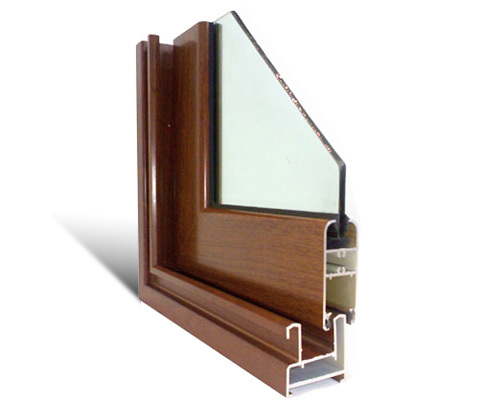 Decoframe is made out of Aluminium extrusion 6063 having a temper T6 quality. Decoframe is fabricated at a modern manufacturing facility at Daman equipped with imported machinery. 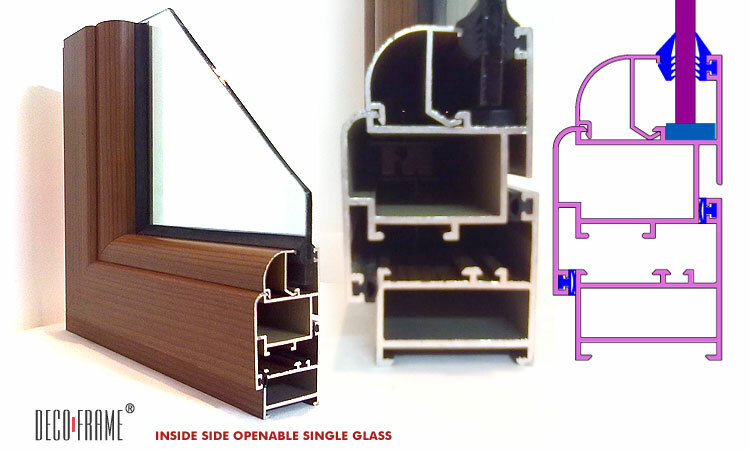 One of the few companies in India in Aluminium window manufacturing sector having ISO-9001-2000 certificate. 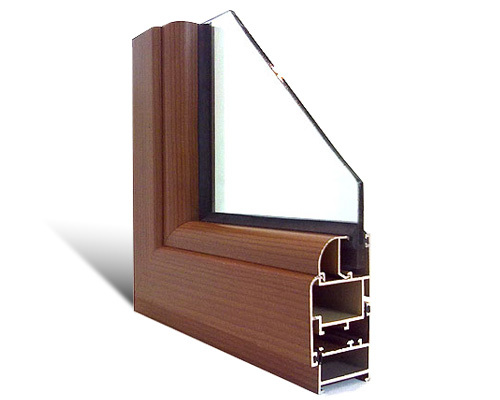 Miter joints to give better perfection of joints with excellent strength. 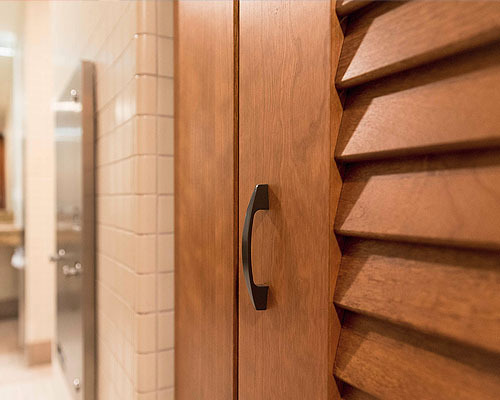 Pressure equalised to maximize weather performance. 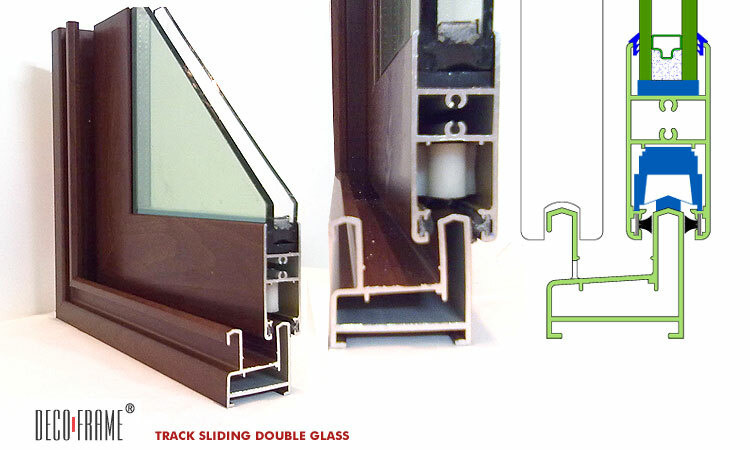 ll weather seals and gaskets are made out of EPDM material.